In her role as Senior Wealth Management Advisor, Sarah Crowe is in the business of helping clients grow their financial confidence for the future. She helps clients balance pursuing goals later in life with current needs. This begins with a straight-forward conversation about a client's financial situation and a plan to make sure they are prepared for life in retirement. In addition to retirement planning, Sarah also specializes in women's financial strategies. 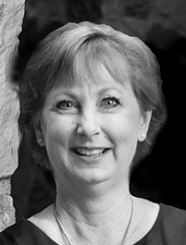 Sarah began her career auditing college and universities while working for the State Auditor of Texas. She then joined EDS designing and coding mainframe applications for financial systems. After several years as a community volunteer and stay-at-home mom, Sarah obtained the CFP® designation at the Professional Development Institute at North Texas University and returned to work as a financial planner. Sarah attended Texas Tech University and holds a Bachelor of Business Administration in Accounting and Management Information Systems. She is a member of The Women's Auxiliary to Children's Medical Center Plano, Dallas Alumnae Chapter of Delta, Delta, Delta and attends Custer Road United Methodist Church. She has lived and worked in the DFW Metroplex for the majority of her life and career and is the mother of two sons.